The Zeb Stool, designed with typical understatement by Edward Barber and Jay Osgerby, was developed specifically for its purpose as a bar stool right down to the very last detail. 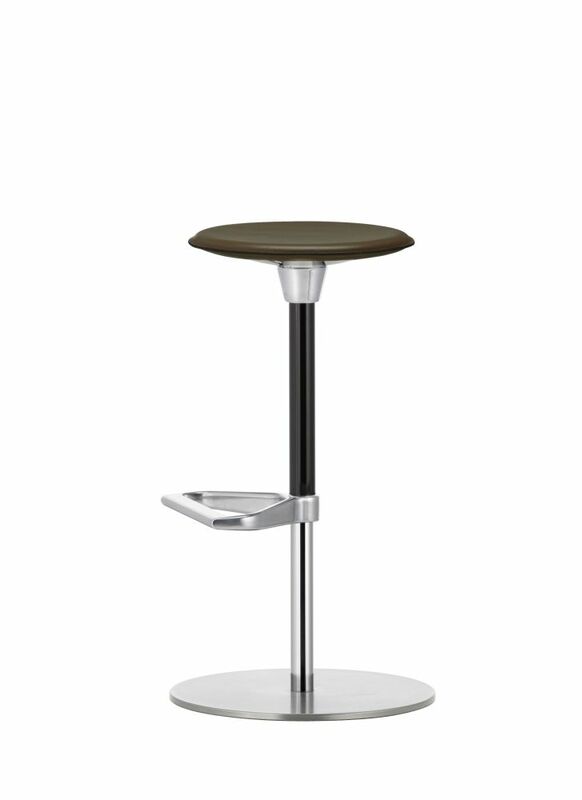 The round seat is available in several different versions; the sleek, leather model with thin padding offers added seating comfort. Edward Barber, born in Shrewsbury in 1969, and Jay Osgerby, born in Oxford in 1969, studied architecture and interior design as fellow students at the Royal College of Art in London. In 1996, they founded their own studio for design and architecture under the name Barber & Osgerby. Since that time, their collaborative work has probed the interface between industrial design, furniture design and architecture.